Grace in Style: GIVEAWAY: $500 NORDSTROM GIFT CARD! 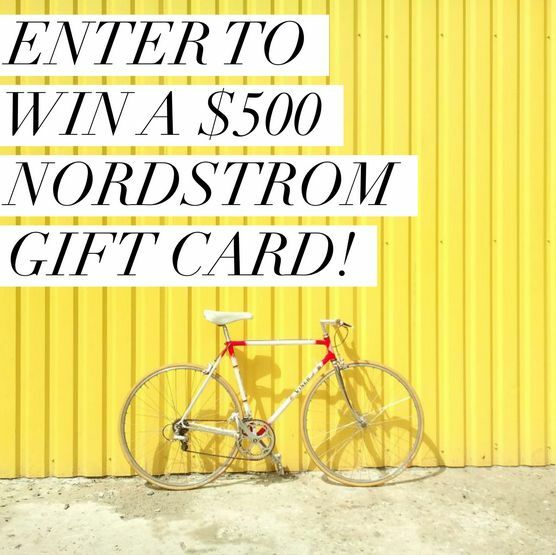 GIVEAWAY: $500 NORDSTROM GIFT CARD! Hey friends!! I realized that it's been much too long since I've said "THANK YOU!" for your incredible support of Grace in Style. It is a huge honor to have the chance to share a piece of my heart with you through these stories. And the fact that you take the time to stop by is huge! So thank you thank you thank you times a billion! As a small token of my appreciation, I've decided to join a group of awesome bloggers and give you the chance to win $500 in the form of either a Nordstrom gift card or cash!! Your choice! Rules: Use the Rafflecopter form to enter daily. Giveaway ends 8/28 and is open worldwide. Winner will be notified via email. I must buy a yellow dress if I win this. What a marvelous shade for summer! Fantastic giveaway! I love entering giveaways and commenting, and interacting with all of the bloggers!!! I would use this to pay some of my dad's hospital bills with PayPal.